Really? Does it? Sorry, but HP has made such a terrible mess of its most recent smartphone endeavors that we struggle to agree with Yam Su Yin at all. “Differentiated experience” or otherwise, the case for HP giving the smartphone industry another go is so weak, even Crane, Poole & Schmidt would balk at taking it on. HP, you’ve got a lot in common with disgraced, former New York Congressman Anthony Weiner. You had your shot and you embarrassed us all, badly. You don’t get to swoop in two years later and win our hearts (or run for Mayor of NYC). We’re all for more competition in the mobile industry, but HP – and let’s be honest, most PC manufacturers – are probably not going to be the ones to bring it. Let’s look at HP’s last attempts to enter the mobile industry. Brace yourself, this is sad. From 2004 to 2009, HP released a number of ‘smartphones’ under the iPaq name, and from the early, BlackBerry-like Pocket PC models to the last Windows Mobile-powered Glisten (yes, like the toothpaste), they we’re universally dull, uninspired, and entirely forgettable. It certainly wasn’t the only company churning out such rubbish – similar nonsense was being produced all over the world – but that’s not really an excuse. In 2010, HP forgot about iPaq phones, and splashed out $1.2 billion acquiring Palm. Why? Here’s what the press release said: “The combination of HP’s global scale and financial strength with Palm’s unparalleled WebOS platform will enhance HP’s ability to participate more aggressively in the fast-growing, highly profitable smartphone and connected device markets.” A year later, following several low-selling devices and a few no-shows, HP discontinued plans to produce any more WebOS hardware (and threatened to quit the PC market). It teased us about taking WebOS open source since, but a few months ago, it sold WebOS to LG where it will live inside, of all things, televisions. Now, is there anyone at all who relishes the thought of another HP-produced smartphone, based on this track record? No, didn’t think so. The company took an innovative and unique operating system, in a perversely impressive way, assisted not in making it better, but by speeding along its demise. It’s low down on the list of companies we’d be keen to buy into again, particularly if there’s any kind of ecosystem involved with its next smartphone. We’re willing to accept things can change, though. If HP has a smart phone idea up its sleeve, maybe the third time will be the charm? If so, it will be the exception to the rule in the PC industry – a Great Valley full of companies that have tried, and failed to break into smartphones. HP isn’t the only PC company that continually fails to break into smartphones. Dell gave up on smartphones at the end of last year, following flops like the Venue and the Venue Pro, and Toshiba hasn’t bothered since 2011, when it launched the IS12T Windows Phone device with Fujitsu. Well, we say “launched,” but it ended up never leaving Japan. Acer may still be putting out new devices, but according to a report in the Wall Street Journal earlier this year, it’s not expected to break even for another three years. That’s break even, not make a profit. Neither Acer nor Asus – which makes the PadFone, PadFone 2 and the Fonepad tablet – cracked one million mobile device sales each in 2012. Many other companies best known for producing computers have had a go at making phones, from BenQ to Vizio, but just you try and name one, let alone buy one. There are some notable exceptions. Lenovo is one of the best performing PC manufacturers which also produces smartphones, and Canalys’ 2012 global device shipment data revealed it was in fifth position, following a 216 percent growth over the previous year. 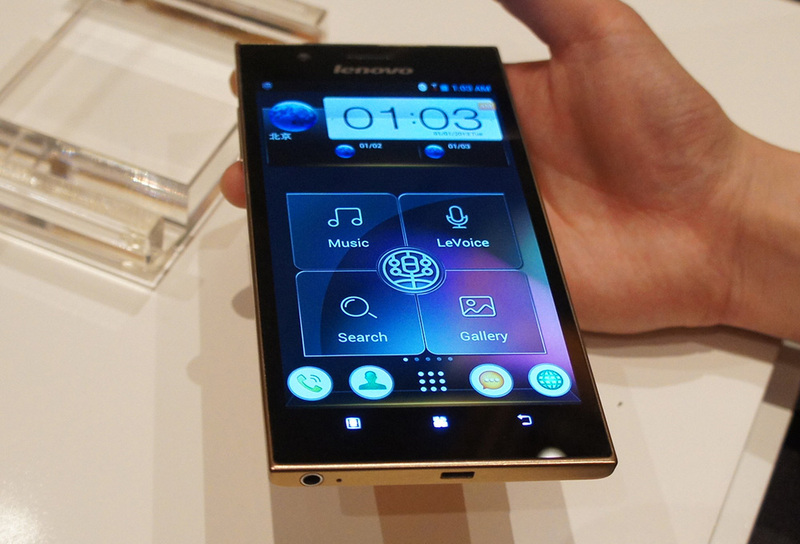 However, Lenovo hasn’t made much of an impact outside China, where 98 percent of its sales took place. Of course, at the top of the pile is Apple which, although it doesn’t make Windows computers, still manages to sell a fair few Macs alongside the iPhone. Companies like Sony, LG, and Samsung don’t count, as they produce an example of every consumer electronics product under the sun. Finally, there’s Intel, a company equally as ensconced in the PC industry as HP, and one which is also finding it tough to compete with its major rival, ARM Holdings. For whatever reason, the majority of companies that make PCs – good or bad – don’t seem to be able to build great smartphones, or even smartphones that sell. Why, we wonder? The logistics of building a smartphone is similar to that of building a PC, as are many of the components, so the established relationships with suppliers should be beneficial. Budgetary constraints are unlikely to be the problem either. Companies like HP and Asus have plenty of influence, and have a portfolio filled with exciting computers, and a few tablets, too. Yet a successful smartphone seems to elude the vast majority of them. Internal bureaucracy, stagnant design teams, lack of focus, poor sales distribution, and a dearth of innovation are all possible causes. We’re not writing off HP, or any of its PC peers, from ever building a lust worthy smartphone, it’s just history has shown the odds are stacked against it. As far as HP is concerned, whatever differentiated experience it’s working on probably won’t show up this year anyway. At the end of last year, CEO Meg Whitman admitted a phone was in the company’s future, but it wouldn’t be coming in 2013. But then, Whitman also said tablets weren’t something it was she that interested in, weeks before announcing the HP Slate 7 at Mobile World Congress in February. Perhaps this is the problem. PC companies are all so caught up in finding a solution to the downturn in computer sales, that confusing messages are being sent from the bridge down to the engine room, resulting in frantic activity which ultimately, sees the vessel go round and round in circles. Computer firms need to stop their engines and figure out in which direction they’re going, and maybe then a world-beating smartphone will emerge. But HP, you’ve got some apologizing to do. You destroyed Palm with your ineptitude. You’ve burned your bridges and shown us, all too vividly, how weird a company you can be. We’re not so sure we want to hold an HP product to our face anytime soon.